Facilities Management is a multi-disciplinary practice which ultimately delivers a basket of services to provide comfort and productivity to occupants and other stakeholders. Today, most facilities managers rely on many independent specialty service providers to maintain their many different (and inter-related) assets, spaces, systems and equipment. Processes of workflow, communication, coordination, and control are often fragmented and inefficient. This provides a huge opportunity for leading service providers to change the game. 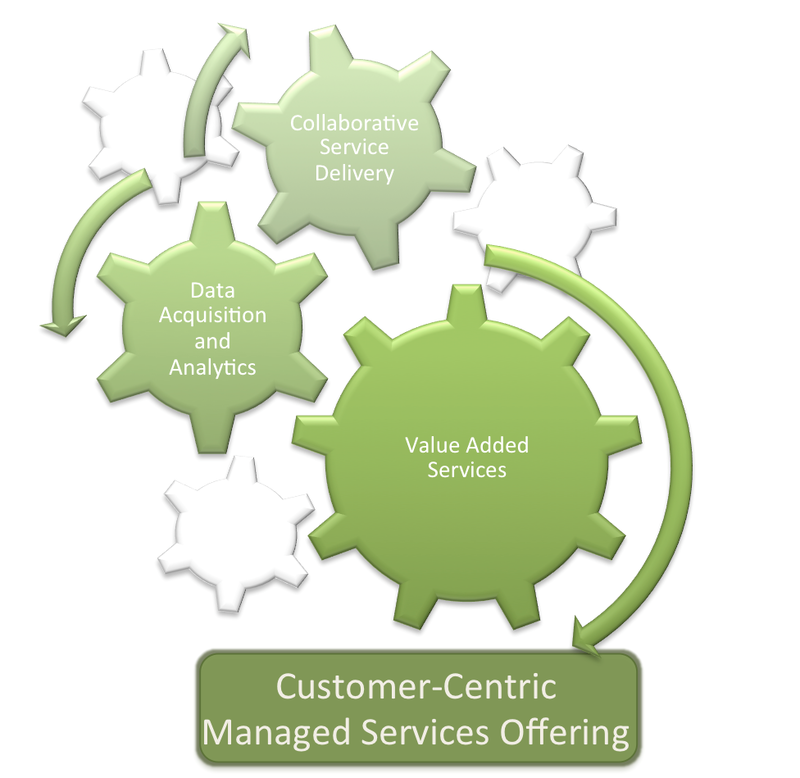 The game changer is a collaborative service delivery model which helps you deliver Managed Services to your customers. Develop a strong relationship with your customers. Successful service providers will become trusted advisors to their customers. As a trusted advisor you will co-produce a facilities management plans with building owners, and provide transparency to facilities performance. Better information, collected across service partners, provides visibility to your customer, better information about their buildings, and improved management practices. As a trusted advisor, you help your customers spend less time managing the facility, and provide facility services at lower overall costs. A collaborative services delivery platform provides a seamless platform where you can leverage the core competencies and resources of your partners, to holistically deliver a basket of facility services, without the need to employ and manage these resources yourself. Collaborative Services Delivery can not be implemented with traditional enterprise facilities management software (even if it’s cloud-based). Traditional enterprise software stops at the enterprise firewall. Collaborative Services software is building (customer) centric and collaborative, across enterprises. Enterprise software has “external” vendors. Collaboration includes all stakeholders and streamlines service processes within facilities, and captures all service transactions (internal and across partners), in real-time. The Internet of Things (data acquisition and control) and Collaborative Services Delivery go hand in hand, after all what is managed must to be serviced. The marketplace for building services is changing. How will you react?